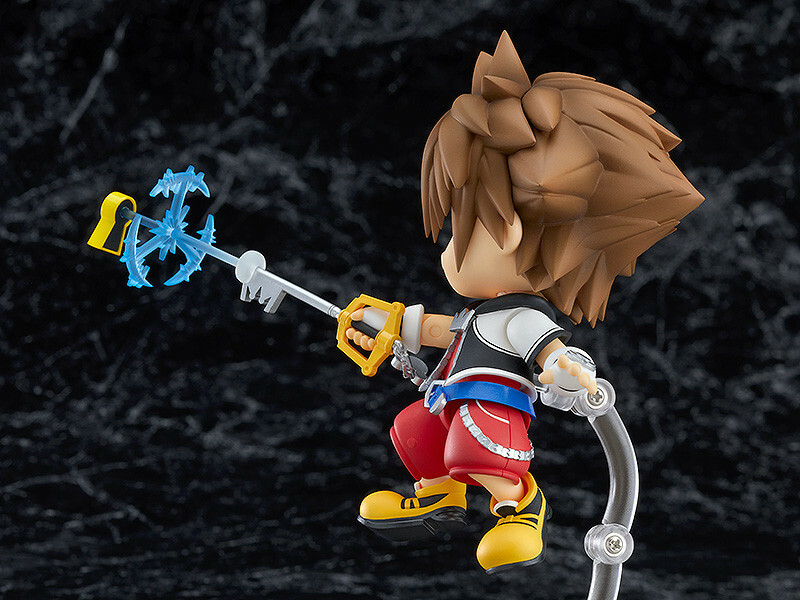 News ► Nendoroid Sora Figure Announced! 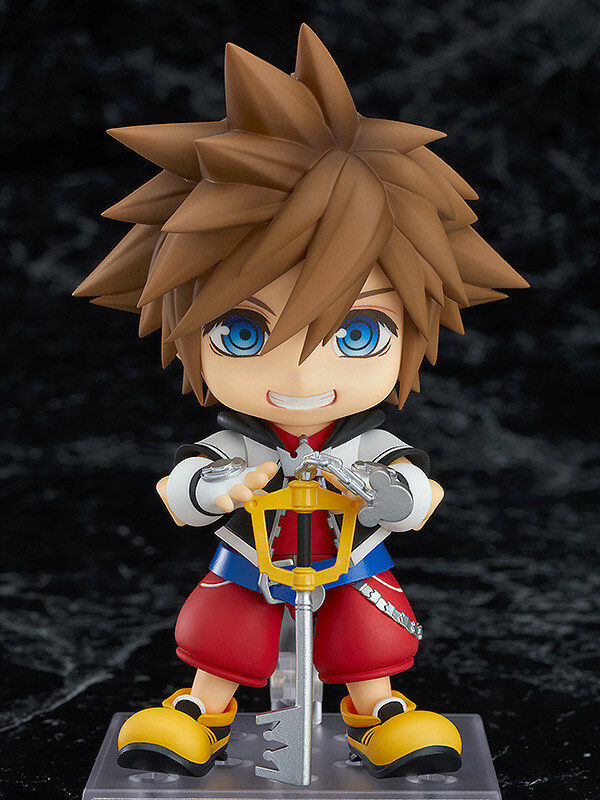 Good Smile, the makers of the popular Nendoroid series, have announced a figure based on Sora as he appears in the original Kingdom Hearts. The Nendoroid figure is available for pre-order on AitaiKuji for $40 USD. Each order with them will come with a free gift. Check out more photos here at Kaotan's blog! There you have it folks. The moment where Sora's head is actually bigger than his shoes. Jokes aside, I like his grin and sleep state. I threw up information about the English pre-orders with Aitai Kuji. $40 USD, free gift with each order, and expected in December 2018 as well. Gah, it's so adorable, I'm dying of how cute it is. $40 is doable. Maybe I can try to get it. I think it's safe to say that we are drowning in merchandise at this point. 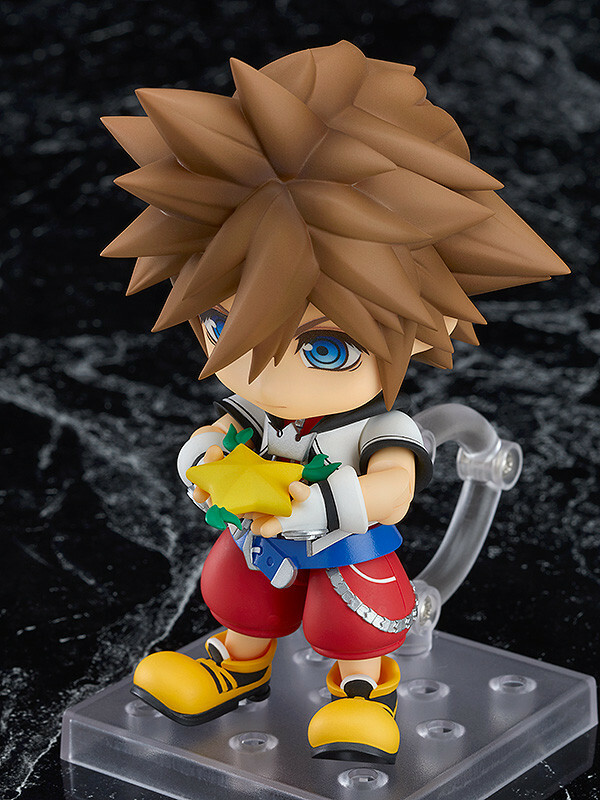 I'm happy GoodSmile is finally creating Nendoroids for Square Enix. 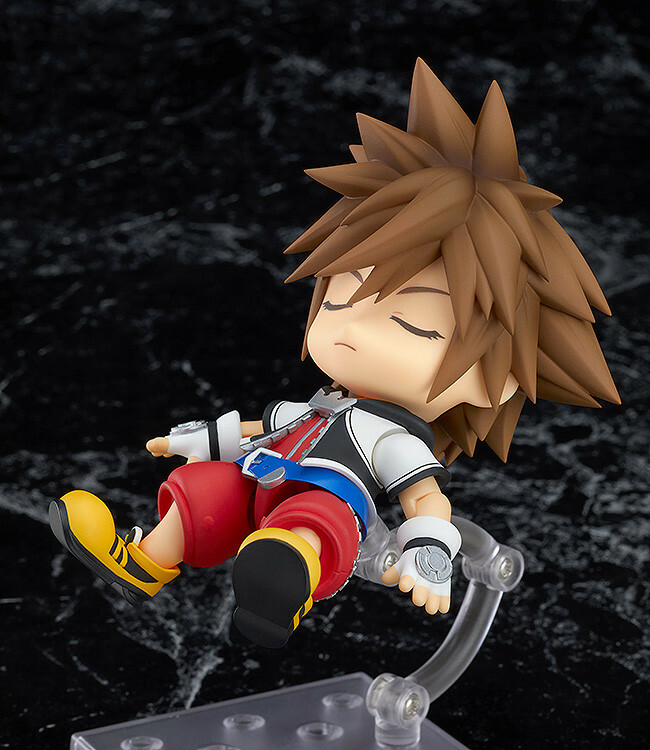 I really love the image of Sora sleeping. I love this, why are all these figures coming out at the same time is my issue lol. 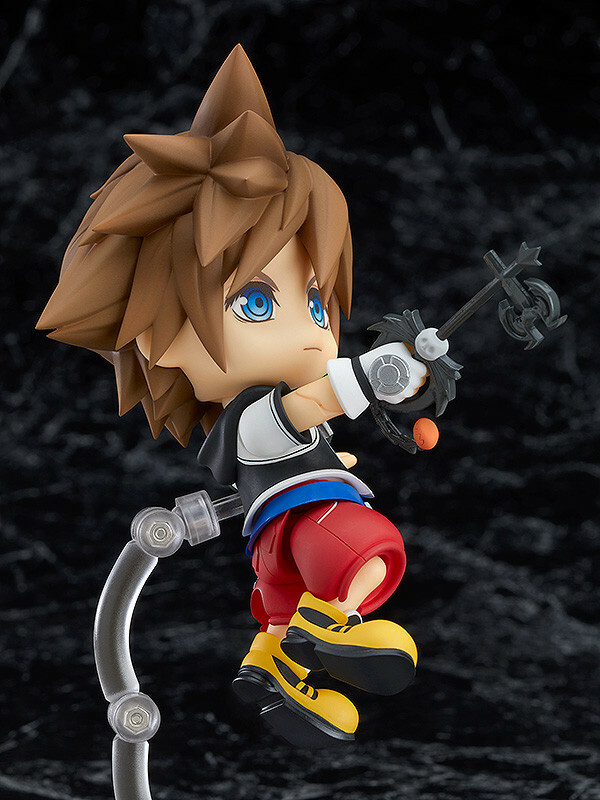 I really want this, Neku, Kairi, and like most of the IX figures. It's too adorable, but I only have so much moooney. Welp, that's added to my list between KH3 Kairi and Neku. Hard to believe people would actually pay $40 for these things. 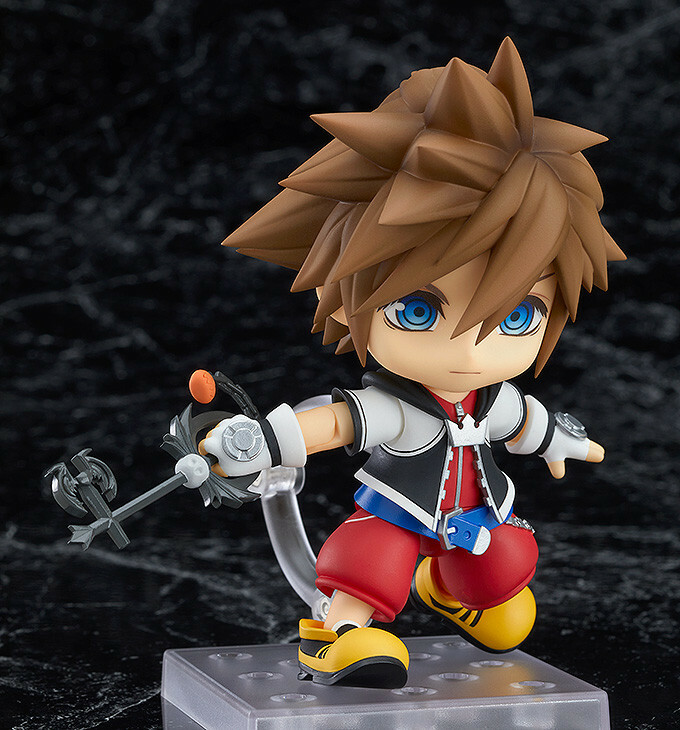 Lets see... BA Cloud, BA Sephy, BA HT Sora, BA Kairi, BA Neku.... and now Nendoroid Sora? Plus a new wave of Diamond Select figures (still have yet to find an Aqua from DS too...) Also the collectors edition of the game I already pre ordered.... and standard version of kh3... plus twewy remake... does Square just want me to deposit my paychecks directly into their account or something? What are the odds of this branching out to Donald and Goofy? If they're realized in the same style that'd be awesome. My dream finally came true! I can't believe it! I'm so happy he's in his KH1 outfit too. You never see merch of KH1 Sora anymore. This is what I am hoping as well, though I obviously expect Riku and Kairi. I mean maybe all of them, and then they could redo the Mickey in a KH outfit since the Mickey Nendoroid is incredibly overpriced by resellers lol. gsc_enon on Twitter hinted that more KH figures could be on the way. Information is from KH13. I would love Riku and Kairi to get made next! I think Mickey is inevitable, especially where they already made a Mickey nendoroid and they can just modify the old mold. I'd love Donald and Goofy to get made to go along with him too! Am I the only one who would love a KH game, maybe for mobile or Switch, that uses this kind of art style? Maybe a Kingdom Hearts: Pocket Edition? While I always thought the Nendoroid figures were cute, this is the first one that I absolutely adore! Sora's design works fantastically in chibi form.